Have you ever wondered about the origins of the great spiritual hymns? If so, then you will love this! 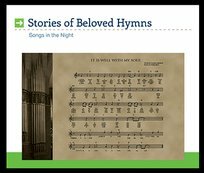 Recorded in the Songs In The Night format, you will not only hear your favorite hymns performed by the Songs In The Night singers, but also hear Dr. Erwin Lutzer provide the historical background for these classics.